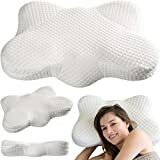 If sleeping has become a total pain in the neck for you, then check out this cool new Neck Pain Relieving Pillow. 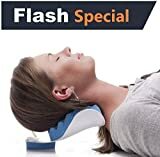 This innovative pillow is designed to reduce head and neck discomfort by maintaining the optimal cervical spine alignment in any sleeping position. 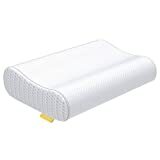 It's made from hypoallergenic pressure point-eliminating foam that contours to the shape of your head and neck and has a slight depression to cradle the head of back sleepers and two elevated surfaces for side sleepers with curved indentations to cradle the shoulders.